I heavily use the HostGator, great webhosting service, where is this website hosted. But it has a slow FTP connection to Europe, where I’m living. So manual copying of the files via the FTP is a problem for me. The more when I have websites with a large number of files. So I very welcome the new Mover service. It works a little bit similar to FXP client, which transfers files between two remote servers without touching your computer. But Mover can do a lot more. 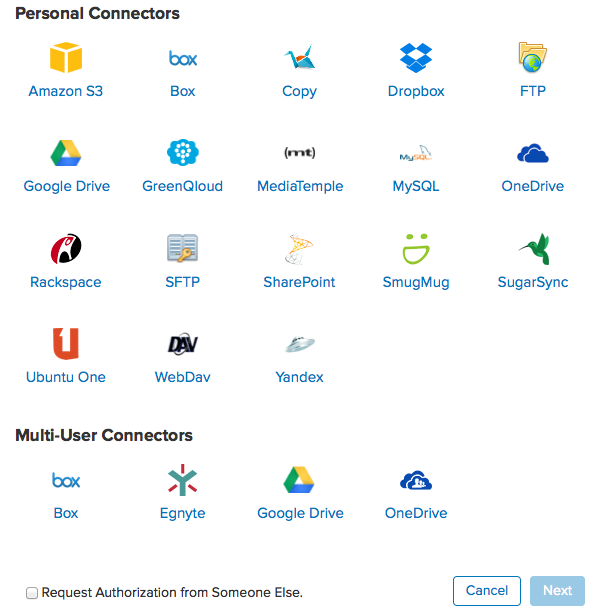 At first, you select the source – FTP, MySQL database, Amazon S3, Google Drive, Dropbox, OneDrive, SFTP, WebDAV, SugarSync and lot more. Then the same way you select the destination. You can also set the compression and copying of only new files. My favorite transfer is copying from FTP and MySQL of the website, creating the ZIP and moving it to my Dropbox. It is automatically synced with my computer, so each backup done comes to my computer without any manual action needed. At first, create a free account. Mover is a paid service, but everyone has a slot from moving the data up to 2 GB. The cheapest plan currently costs 15 USD for 10 GB monthly transfer, 5 schedules and unlimited one-time operations (up to the GB limit). After logging in click the Select Source button. Continue with selecting the service, FTP or database and providing the credentials for it. Repeat this with all the sources you need. Then, click the Select Destination button and do the same. I like the simple authorization for Dropbox. The new window open and you just click the confirmation. As soon as you have the source and destination, click the Archive (if you like) and then the green Run button. You can also Schedule this transfer/backup to set it up repeatedly and automatically for regular backups of your website. Using the top button you can browse your schedules or check the current and past processes. I had some minor problems with connecting to the MySQL, when the Mover hangs on adding the source. But the new try was OK and everything other works like a charm. I also like the simple and clean user interface of this transfer or backup service. Give it a try.